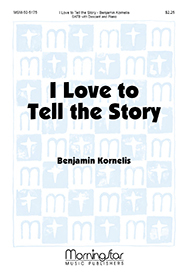 "I Love to Tell the Story" is one of two hymn texts derived from a long poem on the life of Christ written by A. (Annabelle) Catherine Hankey (b. Clapham, England, 1834; d. Westminster, London, England, 1911) in 1866. Hankey wrote the poem during a long period of convalescence following a serious illness. The first part of the poem, 'The Story Wanted," is the source of the children's gospel song "Tell Me the Old, Old Story," while the second part, "The Story Told," contains this text. Beginning in 1866 different versions of the full poem were printed in various publications. This hymn text, with the tune HANKEY and a refrain written by William G. Fischer, were published in Joyful Songs (1869). Apart from the context of the larger poem, some of the couplets of this text appear rather shallow or repetitious; thus the Psalter Hymnal includes only the original stanzas 1, 3, and 4. But the entire original poem provides a fine autobiographical testimony to Hankey's evangelical fervor, which she expressed in her writings and in her support of foreign and home missions (she taught church school classes to the rich and poor of London). The text simply affirms the Christian's zeal to "tell the old, old story of Jesus and his love" to the unsaved as well as to the saved, here on earth and in glory. Hankey was the daughter of a wealthy banker and was associated with the Clapham sect of William Wilberforce, a group of prominent evangelical Anglicans from the Clapham area. This group helped to establish the British and Foreign Bible Society, promoted the … abolition of slavery, and was involved in improving the lot of England's working classes. Hankey taught Bible classes for shop girls in London, visited the sick in local hospitals, and used the proceeds of her writings to support various mission causes. Her publications include Heart to Heart (1870) and The Old, Old Story and Other Verses (1879). Worship that expresses missionary fervor; children's church school classes. HANKEY has many characteristics of a gospel song: stepwise melodic motion, verse refrain form, and simple harmony. After hearing both hymn texts from Hankey's poems quoted by one of the speakers at an 1867 YMCA convention in Montreal, Quebec, gospel hymn writer William H. Doane (PHH 473) was inspired to set both texts to music. 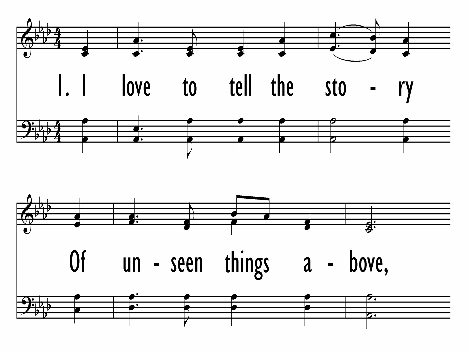 However, Doane's tune for "I Love to Tell the Story" was soon replaced by the tune HANKEY by William G. Fischer, who also added a refrain to the original text. 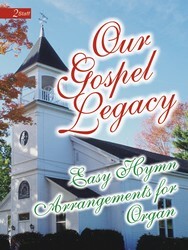 The tune set to Hankey's text was published in Joyful Songs (1869) and in many gospel hymnals. The hymn was popularized through its use in the Ira D. Sankey (PHH 73) and Dwight L. Moody crusades. In his youth, Fischer (b. Baltimore, MD, 1835; d. Philadelphia, PA, 1912) developed an interest in music while attending singing schools. His career included working in the book bindery of J. B. Lippencott Publishing Company, teaching music at Girard College, and co-owning a piano business and music store–all in Philadelphia. Fischer eventually became a popular director of music at revival meetings and choral festivals. In 1876 he conducted a thousand-voice choir at the Dwight L. Moody/Ira D. Sankey revival meeting in Philadelphia. Fischer composed some two hundred tunes for Sunday school hymns and gospel songs.